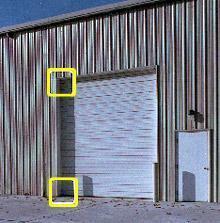 ProSeal brush weather-stripping products provide are cost-effective solutions to seal gaps and minimize air infiltration around overhead doors-sectional, rolling steel and other large commercial service doors. Just a ¼-inch gap around the unsealed sides and top of a 10’x10’ sectional door is the equivalent of a 90 square inch hole in the door and permits 328 million cubic feet of air infiltration per year. Sealeze brush weatherseal products effectively reduce air infiltration by as mush as 98.5%, while reducing light and odors that attract unwanted insects, rodent and other pests. ProSeal brush is ideal for sealing gaps in large doors, such as industrial doors, barn doors and aircraft hangar doors. 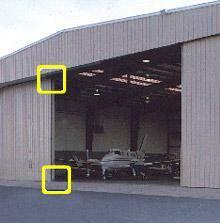 Visit the ProSeal page for products specifically designed for aircraft hangar-style doors.